How to watch Rainbow Jelly (2018) on Netflix South Africa! 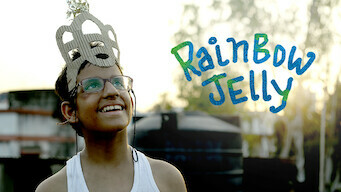 Yes, Rainbow Jelly is now available on South African Netflix. It arrived for online streaming on April 15, 2019. We'll keep checking Netflix South Africa for Rainbow Jelly, and this page will be updated with any changes. Mistreated by his cruel uncle, an imaginative orphan with autism sees hope when a fairy vows to change his life with a week of enchanted recipes. She’s got potions in place of spices. But will the magic in her meals make one boy’s troubles disappear?